Raul Jimenez (£6.3m) returns to The Scout's best XI for Gameweek 21 of Fantasy Premier League. 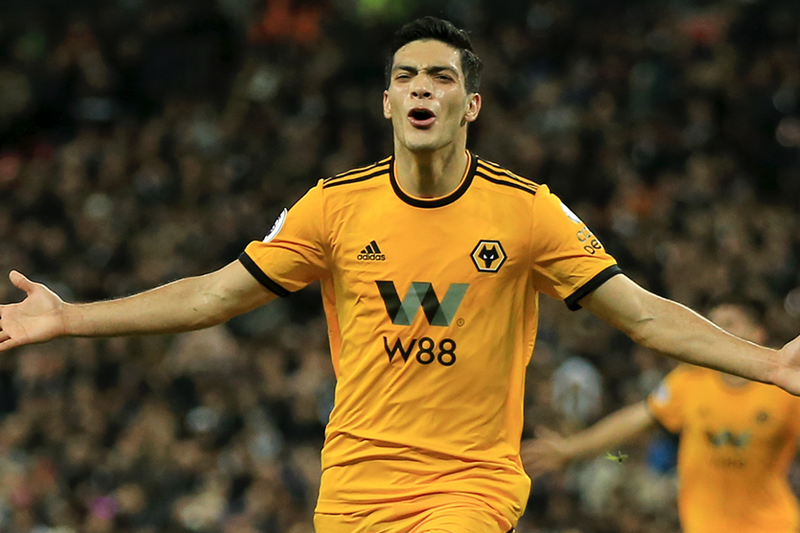 The Wolverhampton Wanderers striker took his tally to six goals and six FPL assists this season by scoring in Saturday's win at Tottenham Hotspur. 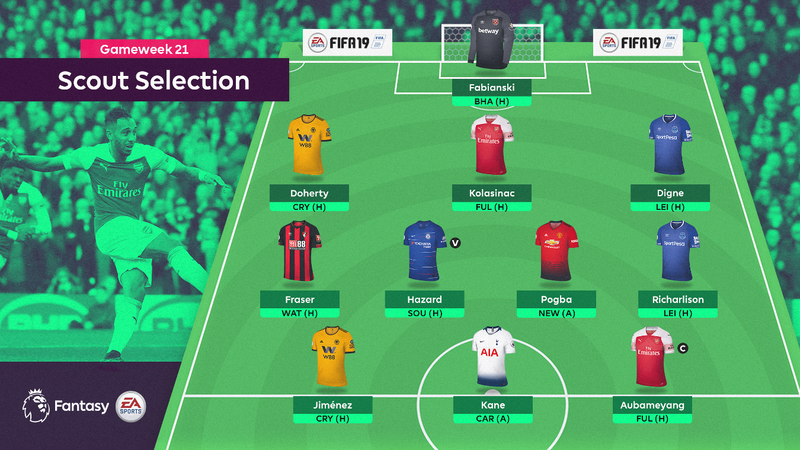 Jimenez takes his place in a 3-4-3 formation, with Pierre-Emerick Aubameyang (£11.4m) handed the armband and Eden Hazard (£11.1m) given the vice-captaincy. The fifth top-scoring goalkeeper in FPL, the Pole has 34 points in the last seven Gameweeks. At London Stadium, Fabianski will face a Brighton & Hove Albion team who have scored only three goals in the last five Gameweeks. Scores of 10 and 17 points in two of the last five Gameweeks highlight the Everton left-back's potential at home to Leicester City. The fifth top-scoring defender in FPL, Doherty has two goals and an assist in his last seven Gameweeks. He is set to take on at Molineux a Crystal Palace side who have failed to score in the last two Gameweeks. A big source of creativity for Arsenal down the left, Kolasinac has 14 points in his last two home matches. He will face a Fulham team who have scored only twice in the last four Gameweeks. The Brazilian has produced two goals, an assist and 22 points in his last three home matches. Richarlison faces Leicester, whom he scored against in a 2-1 away win in Gameweek 8. The AFC Bournemouth winger is set to return to the starting XI after being rested to the bench at the weekend. Fraser offers explosive potential in Fantasy for the visit of Watford, with three double-figure hauls at home this season. The Manchester United midfielder is quickly becoming an FPL must-have after recording his third successive double-digit haul. Over 435,000 managers have bought Pogba for his trip to Newcastle United. The Chelsea wide man will be hoping to repeat his early-season exploits against Southampton. Hazard produced a goal, an assist and 14 points at St Mary's in Gameweek 8. The top-scoring forward in FPL boasts fine home form for the visit of Fulham. Aubameyang has two goals in two of Arsenal's last three matches at Emirates Stadium. The most-bought forward in the Gameweek, Jimenez has been transferred in by over 143,000 managers for his meeting with Palace. The Tottenham Hotspur forward has the form to exploit the Cardiff City defence on Tuesday evening. Kane travels to Wales on the back of four goals and three assists in the last six Gameweeks.